It seems like inspite of the lackluster price movement, Bitcoin (BTC) is gaining more and more ground when it comes to adoption as well as credibility. With Bitcoin (BTC) becoming more and more popular, its credibility is also increasing significantly. Many people are looking for ways to invest in Bitcoin (BTC) at these lower levels. How is Bitcoin (BTC) gaining ground? Weiss Ratings recently gave Bitcoin (BTC) a C+. The rating was on the technology of Bitcoin (BTC). It means that Bitcoin (BTC) is a high-risk investment. However, when you look at the rating for adoption, it got the highest rating. That clearly indicates that the adoption is undoubtedly on the rise. Weiss rating further went on to say in its recent report that inspite of the falling prices, the adoption is increasing. It pointed out that the improving fundamentals of Bitcoin (BTC) are the reason why the adoption was growing consistently. Weiss rating confirmed that the transactions per day have risen to around 276,000 from 135,000 in last April. It clearly indicates that in spite of the price of Bitcoin (BTC) moving downwards, the transactions are on the rise. Owing to the lightning network, the fees of Bitcoin (BTC) transactions have come down significantly. As a result, users are finding it easier to transact in Bitcoin (BTC). When you look at the total wallet users, it is also pretty strong at 500,00 for cryptocurrencies cumulatively. Cryptocurrencies have retained the overall audience. Considering the fact that Bitcoin (BTC) is the most dominant cryptocurrency, it does not come as a surprise that lion’s share of those wallet users hold or use Bitcoin (BTC). 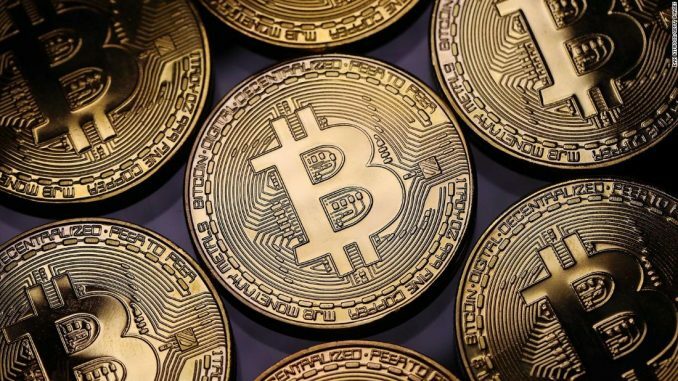 With the per day transactions arising in the last eight months or so, when Bitcoin (BTC) prices have fallen consistently, there is no doubt that the actual usage of Bitcoin (BTC) is increasing. With the Bitcoin (BTC) gaining ground, its credibility is also going up. As the number of users increases,Bitcoin (BTC) becomes a household name genuinely, it will be very easy for investors and traders to trust Bitcoin (BTC). The best thing about it is that this is happening at a time when Bitcoin (BTC) has crashed. One can only imagine the kind of traction which it will gain when Bitcoin (BTC) recovers once again. Till that point in time, the traction of Bitcoin (BTC) will continue to increase at a steady pace like it has in the past eight months or so. When you look at all of these factors cumulatively, there is no doubt that Bitcoin (BTC) is gaining significant ground in spite of the downturn.